Comm Eye Health Vol. 14 No. 40 2001 pp 53 - 56. Published online 01 December 2001. The main issues in relation to blindness in children relate to a better understanding of the epidemiology, which has led to improved priority setting. In this article the most recent epidemiological data will be presented, the consequences for the Vision 2020 programme will be discussed, and research priorities considered. A blind child is an individual aged less than 16 years, who has a visual acuity in the better eye of <3/60. However, many studies do not use this definition, which makes it difficult to compare the findings of different studies. The prevalence of blindness in children (i.e., the proportion of the child population who are blind), varies from approximately 0.3/1,000 children in wealthy regions of the world, to 1.2/1,000 in the poorer countries / regions.1 Blindness in children is more common in poor regions for two main reasons: firstly, there are diseases and risk factors which can lead to blindness from causes that do not now occur in industrialised countries (e.g., measles, vitamin A deficiency, ophthalmia neonatorum, malaria), and, secondly, there are fewer well equipped eye departments with ophthalmologists, nurses and ophthalmic paramedics trained in managing treatable causes of blindness (e.g., cataract and glaucoma). The incidence is therefore higher, and fewer blind children have their sight restored. Incidence data are very difficult to obtain, but it has been estimated that there are 8 new blind children for every 100,000 children each year in industrialised countries. The figures are likely to be higher in developing countries. The available data suggest that there is wide regional variation in the major causes of blindness in children. Tables 1 and 2 show the causes of blindness obtained from examining over 10,000 blind children, with the causes classified using the World Health Organization’s classification system.3 These data do not take account of children who are ‘blind’ from refractive errors. In wealthy parts of the world lesions of the central nervous system predominate, while in poorer countries corneal scarring as a result of acquired diseases are the most important causes. Table 3 shows estimates of the number of blind children by anatomical site, and by underlying cause. It is possible to combine what we know about the prevalence of blindness in children with data on causes, and apply this to a total population of one million people (Table 4). This information is perhaps more useful for planning. Figure 1 shows these data. In all regions of the world there are causes which are amenable to primary, secondary and tertiary prevention, but the proportions vary from region to region (Table 5). Low vision: services need to be expanded or developed in all regions. Reduce the global prevalence of childhood blindness from 0.75/1,000 children to 0.4/1,000 children. Elimination of corneal scarring caused by vitamin A deficiency, measles, or ophthalmia neonatorum. Elimination of new cases of congenital rubella syndrome. All babies at risk of retinopathy of prematurity to have fundus examination, by a trained observer, 6-7 weeks after birth. Cryotherapy or laser treatment to be provided for all those with treatable disease. All school children to receive a simple vision screening examination, with glasses provided for all those with significant refractive error. This should be integrated into the school health programme. 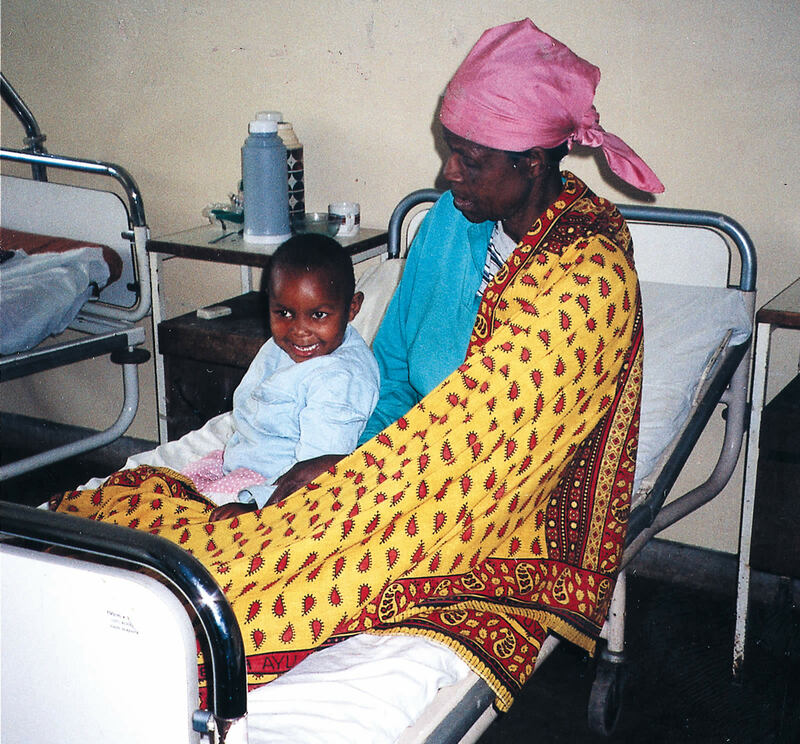 Ensure that prevention of childhood blindness is an explicit aim of all primary health care programmes. Ensure that all secondary level eye clinics have facilities to provide appropriate spectacles for children with refractive errors. Train one refractionist per 100,000 population by 2010. Train at least one low vision worker for every 20 million children, by 2010, and for every 5 million by 2020. Train one paediatric-orientated ophthalmologist for every 50 million population by 2010, and one per 10 million population by 2020. Development of low cost, high quality low vision devices, which should be widely available, even in low income countries. Establish a network of specialist childhood blindness tertiary centres. In this edition of the Journal of Community Eye Health there are articles which address some of the priority causes of blindness in children. The article on cataract discusses the relative merits of intraocular lens implantation in children, as a means of correcting their aphakia. The article on retinopathy of prematurity from Brazil highlights how screening programmes need to be expanded in Latin America if blindness from ROP is to be brought under control. Corneal scarring. The control of diseases that cause corneal scarring lies in primary health care, public health interventions, and child survival programmes. However, here is still a need to develop cost effective, sustainable interventions at the community and household level for the control of Vitamin A deficiency, interventions that do not depend on vitamin A supplementation. Cataract. Cataract surgery is much more difficult in children, and very few clinical trials have been undertaken to explore the optimum management. Further research is also needed into the aetiology of cataract in different parts of the world, as well as qualitative research to investigate barriers to the uptake of cataract surgery. Retinopathy of prematurity. The pattern of disease in middle income countries seems to be different from that currently seen in industrialised countries. There is a need for research into risk factors in different settings, and the validity of different methods of screening for threshold disease needs to be investigated. Low vision. There are very few studies of low vision in children. It is not really known how common it is, and what the major causes are at the population level. There are virtually no studies which have addressed the issue of best low vision devices for children. Diseases of unknown cause. There are many blinding eye diseases where the underlying cause is not known, e.g., congenital anomalies of the eye. Research is needed to try and clarify the relative contribution of genetic and environmental risk factors. * data from published studies. EME = Established Market Economies; FSE = Former Socialist Economies; LAC = Latin America and Caribbean; MEC = Middle East Crescent; OAI = Other Asia and Islands; SSA = Sub-Saharan Africa. 1 Gilbert C E, Foster A. Childhood blindness in the context of VISION 2020 – The Right to Sight. Bull WHO 2001; 79: 227-232. 2 World Health Organization, Geneva. Global Initiative for the Elimination of Avoidable Blindness. Geneva WHO/PBL/97.61. 3 Gilbert C, Foster A, Negrel D, Thylefors B. Childhood blindness: a new form for recording causes of visual loss in children. Bull WHO 1993; 71: 485-489. 4 World Health Organization, Geneva. Preventing blindness in children: Report of WHO/IAPB scientific meeting (Unpublished document WHO/PBL/00.77).